“Thank you very much for coming and supporting us! The event has completed with a big success and joyful moments. and international cultural exchange through music. 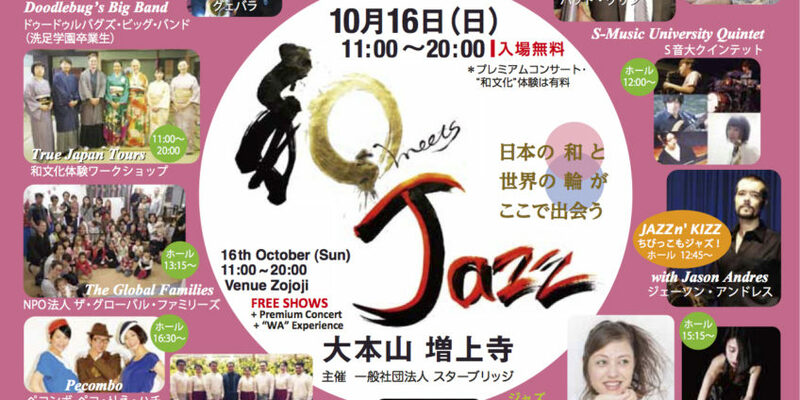 through this large charity event which will take place at Zojoji in Minato-ku. 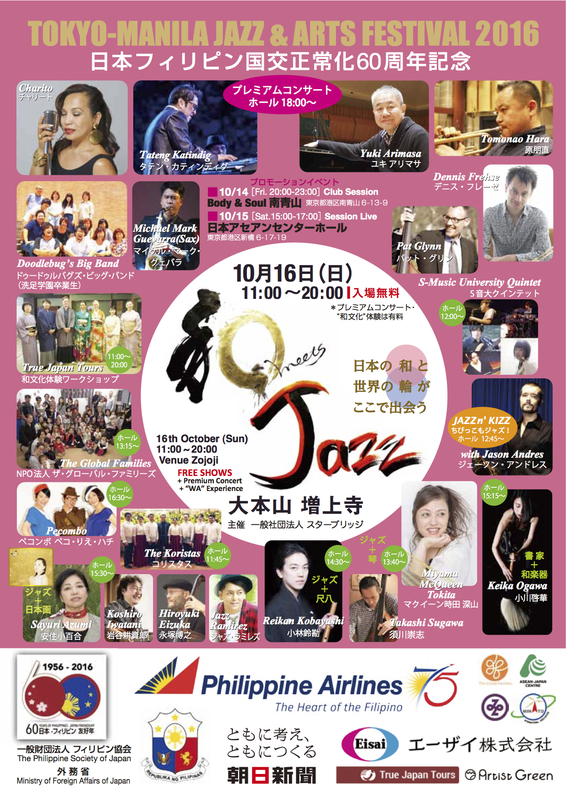 NPO-The Global Families, and major jazz artists, Japanese(WA,和) Artists etc. Japanese Sweets, Asian Foods etc. We are looking for our supporters ! 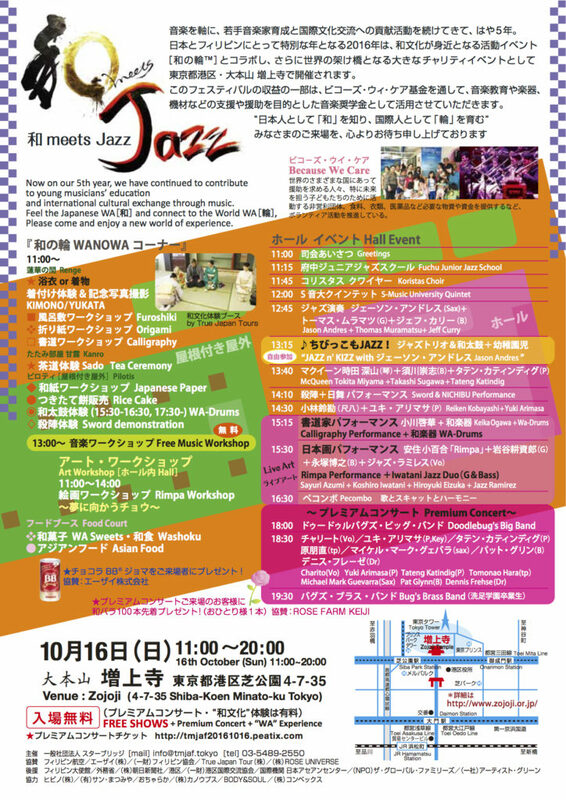 Please contact <info@tmjaf.tokyo> for more details. ASEAN-Japan Centre, NPO-The Global Families, Artist Green, Convex Inc.
© 2017 Tokyo-Manila Jazz & Arts. All Rights Reserved.